I was thinking today, how often does one get a chance to let their hair down, literally for those who have it, and figuratively for those of us who are hair challenged? This week while planning our Vacation Bible School All Church Worship Service, I was reminded of Jesus’s teaching in the synoptic gospels to include children as a central part of his ministry. He was ministering to people when many parents brought children directly to him for him to bless. His disciples, serving as gatekeepers, tried to keep them out as children back then were truly to be seen, on occasion, and never heard, and Jesus teaching and pressing the flesh was not such a time. In response Jesus “rebuked” or was “indignant” to the disciples and told them to let the children come to him, and do not stop them because the Kingdom belongs to children such as these. In Mark and Luke’s Gospel he goes on to say that if one does not receive the Kingdom of God like a child, one will never enter it. With other pastors over the years, I have used this passage in encouraging churches to be more open to truly incorporating children in the worship life of the church. I have also used this in teaching that churches should take the initiative in inviting and welcoming persons with special needs. 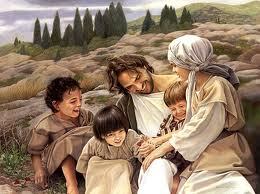 Jesus himself teaches that children are to be seen, heard, AND modeled after in faith. In devoting one or two Sundays a year to children’s worship, some people grumble and come anyway, some grumble and stay away, but most take advantage of the opportunity, similar to the opportunity that parenting and especially grand parenting offers to connect to their inner child, and have wonderfully meaningful worship experiences. In reaching this inner child, we are reminded this is the inner child that God created and that, in the process of living and growing up in a world separated from God, we all too often grow away from. When we do not take advantage either as individuals or churches, to get back in touch with this part of us that God created, we are all worse off. I was talking to someone the other day regarding special needs children and churches. She was telling me how her church, not a UMC church, put up, or at least refuse d to take down, barriers to her child, and therefore her family, from participating fully in the life of the church. While there were some bare-bones accommodations offered, there was not true inclusion as icy looks and stares of other members coldly reminded. She then tried another church, a UMC, and while things were better, they were still not welcomed with open arms. She is now attending a non-denominational church that welcomed them truly and completely such that all members of the family were and FELT welcomed. I have visited this last church and found that they were extremely welcoming and went out of their way to offer friendship. Guess which church was growing? Guess which church is expanding. 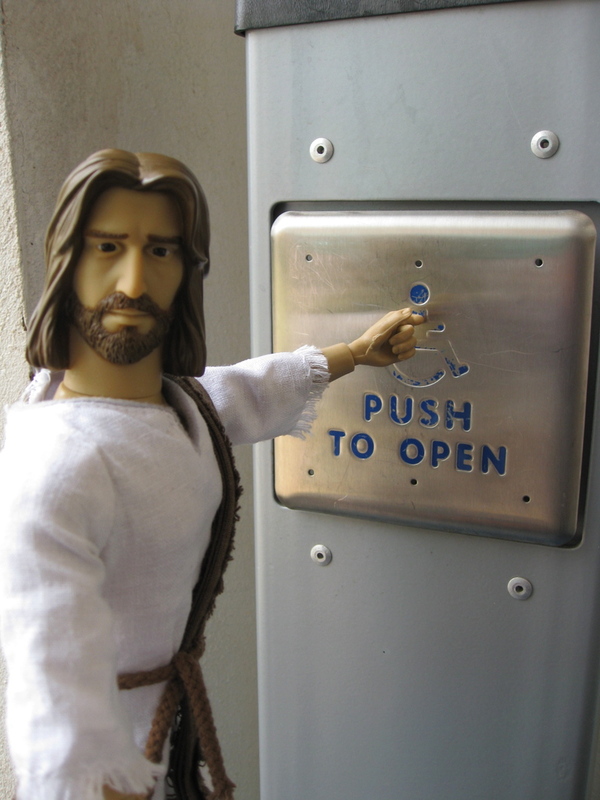 In my thinking of Jesus’s welcoming and teaching the importance of inclusion of children fully into the life of the Body, and upon reflecting on my conversation, it occurred to me that there is not a distinction between welcoming children, people with special needs, and adults without such needs. Either one is welcoming to all or one is not and needs improving. Let the little children come to us. Let us then be in touch again with the little child God in us created, the little child for whom the Kingdom of God is established, and the child like way in which this Kingdom must be received. This entry was posted in Faith Shots, Scattershooting and tagged children, Childrens ministry, evangelism, Gospel of Luke, inclusion, inclusive, jesus, Jesus and children, Kingdom of God, ministry of welcoming, Special Needs, United Methodist Church, Vacation Bible School, VBS, worship. Bookmark the permalink. Just found your blog. My son has autism, so this is an issue on my heart as well. Thank you for your witness. Thanks for the comment. I am glad you found my blog. I hope you are in or will find a supportive faith community for your son and family.